Photographers looking for a little extra control when using DLSR cameras, telephoto lenses or similar may be interested in a new piece of kit which has been created by RDM. 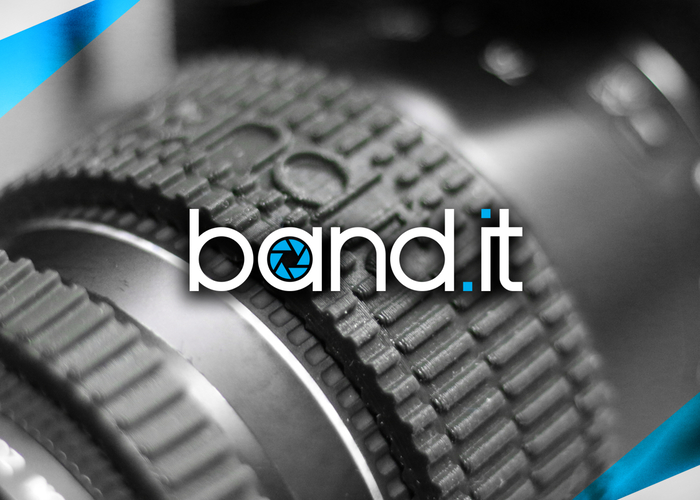 Band.it takes the form of a new accessory that can be easily fitted to your camera lens and is constructed from an extremely soft elastomer, making camera adjustments easier and more accurate rather than fumbling for your focus, say its creators. Watch the video below to learn more about band.it which is taken to Kickstarter and has already raised enough funding to secure its next step in to manufacture with still 28 days remaining on its campaign, thanks to over 100 backers. The creators of band.it explain a little more about its design, functionality and inspiration. Avid camera users find it difficult to comfortably grip and quickly adjust their camera lenses, and their plastic zoom and focus rings become loose and damaged after years of use. Plus, they have to deal with permanent damage like scratches and dings from everyday surface contact. Camera retailers run the risk of damage to their lenses every time their equipment is leased. These organizations, institutions, and businesses invest in the best lenses, expecting members, students, and consumers to use them for years on end, but they end up with scratched and dilapidated equipment much sooner than anticipated. These issues force individuals to constantly repair and replace their lenses, which adds another expense onto the already high cost of photography. In some cases, lens repair can take up to 4 weeks and over $250. At RDM, we’ve created band.it to solve these problems. Not only does band.it protect the lens, but it also improves user experience and precision while operating a camera. The elastic band enhances the grip and extends the surface of the lens barrel, acting as a cushion for your fingers. Furthermore, it provides a fast track when moving your hand between the zoom and focus collars by breaking the uniform surface of the cylindrical lens barrel. For more information on the new band.it DSLR camera accessory jump over to the Kickstarter website for details by following the link below.